The Franke air switch is an alternative to a wall mounted eletrical switch. It is easily installed air actuated on/off control for the waste disposer. 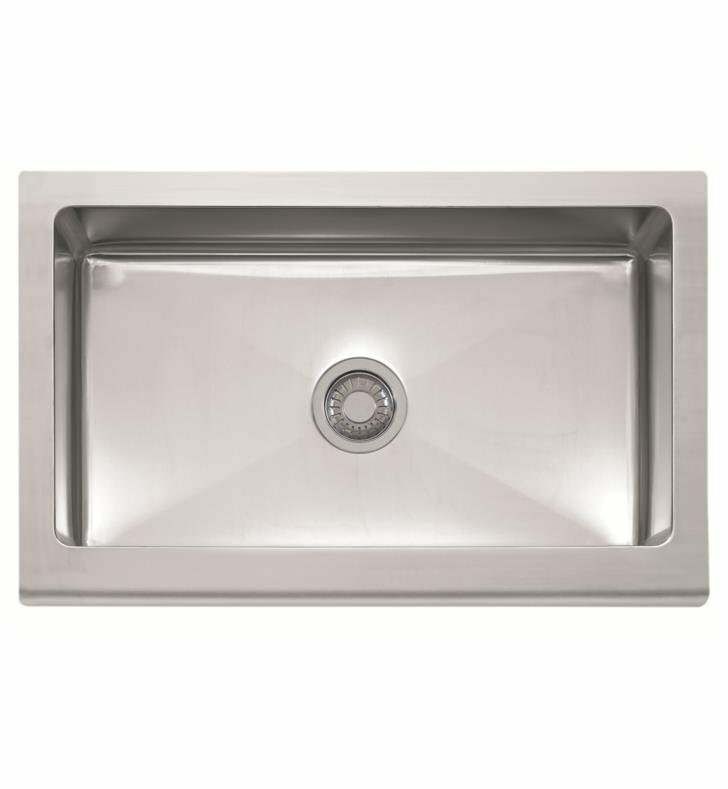 The Manor House Single Basin Apron Front Stainless Steel Kitchen Sink are a modern version of a classic sink design. This sink is meant to be the focal point of your kitchen design. A natural complement to stainless appliances. This timeless classic is the perfect choice. Reminiscent of the days of gracious living, great houses and the butler's pantry, the Manor House sink is hugely accommodating, deep and sturdy in durable commercial-grade stainless. Premium quality chrome nickel steel makes sinks highly resistant to staining, rust and corrosion. Naturally hygienic, it doesn’t harbor bacteria. 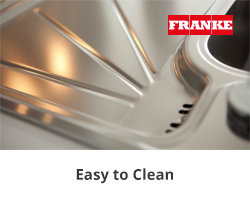 Stainless steel surfaces develop a passive protective layer that continuously renews, so your sink is easy to clean and care for. Temperature and acid resistant. Hygienic, easy to clean and long-lasting. It’s the go-to material for professional chefs. 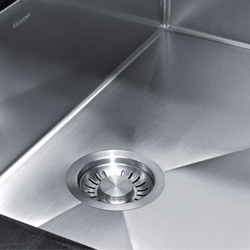 It's no accident that 70% of sinks around the world are made of stainless steel. It looks good in almost any kitchen. What’s more, it’s corrosion-resistant, has an absolutely pore-free surface for easy cleaning and is extremely hygienic. Stainless steel also bonds with oxygen to form a passive protective layer that continuously renews itself. It can withstand extreme temperatures and last but not least, it is rust-resistant. A wipe down with a soapy cloth is all you need. Then just rinse the surface thoroughly to keep your sink looking as good as new. Do not use bleach or other acidic cleaners. The standard gauge describes the thickness of a metal sheet, on a scale from 8 to 30. The lower the number, the thicker the metal sheet. The thicker it is, the less it can be bent or dented and the quieter it is in use. But if too thin, it becomes impossible to produce a sink from a single sheet of metal. So we take great care when choosing the right standard gauge for our sinks. L 33" x W 20 7/8" x D 9 1/8"